For most people around the world – including Chinese people in China – Xinjiang is a mysterious and generally misunderstood region. What makes Xinjiang so special? And how can one place cause fear for some people and inspiration from another? As a foreigner who has lived in the Xinjiang region since 2006, I’ve learned that there are quite a few things that make Xinjiang unique. 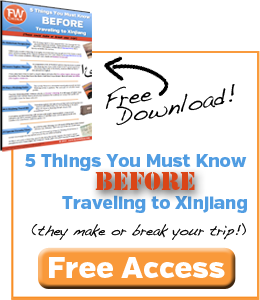 Perhaps you’ve never heard of Xinjiang before or maybe you’ve lived here at some point in your life. Either way, I think you’ll find at least a few of these facts fascinating! Take a couple minutes to watch the video below or scroll down to read through what makes Xinjiang so special. Below are 10 of the most little-known facts about Xinjiang – facts that even most Chinese people don’t know! 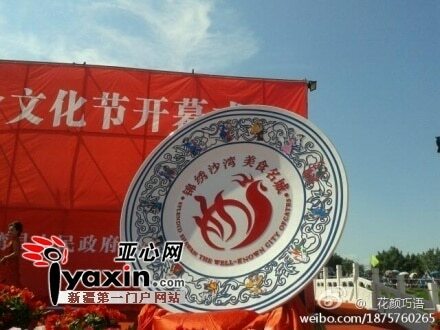 Officially, Xinjiang runs on Beijing Time. 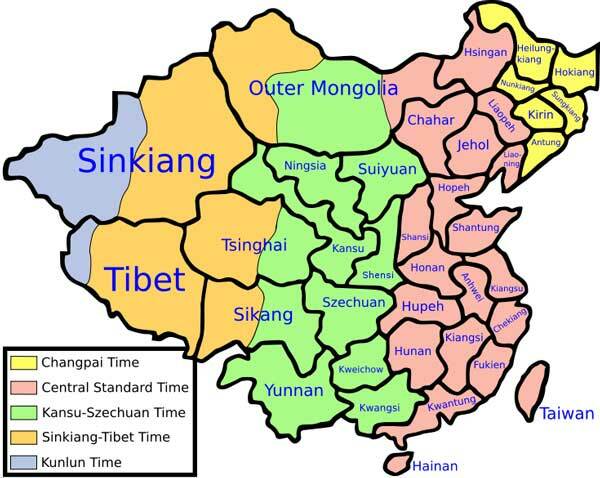 Unofficially, we have what is known as “Xinjiang Time”. You see, prior to 1949, China was broken up into multiple time zones. The city of Kashgar, which is China’s westernmost city, was 2.5 hours behind the capital of Beijing – and rightly so. The two cities are almost 3,500 kilometers (2,100 miles) apart! 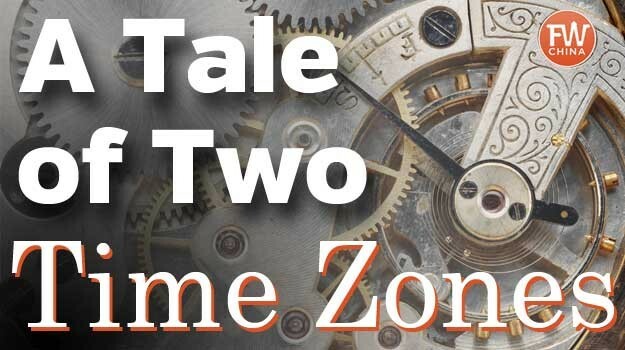 Once China was unified under Mao Zedong in 1949, however, the various time zones were erased and the whole of China was given one timezone to share – Beijing. What this means is that during the summer months in Kashgar, the sun might not go down until 10pm Beijing time. This seems incredibly late until you realize that this is really 8:30pm local time. What you’ll find is that many locals here set their clocks to “Xinjiang time” even though all official business runs on “Beijing time”. 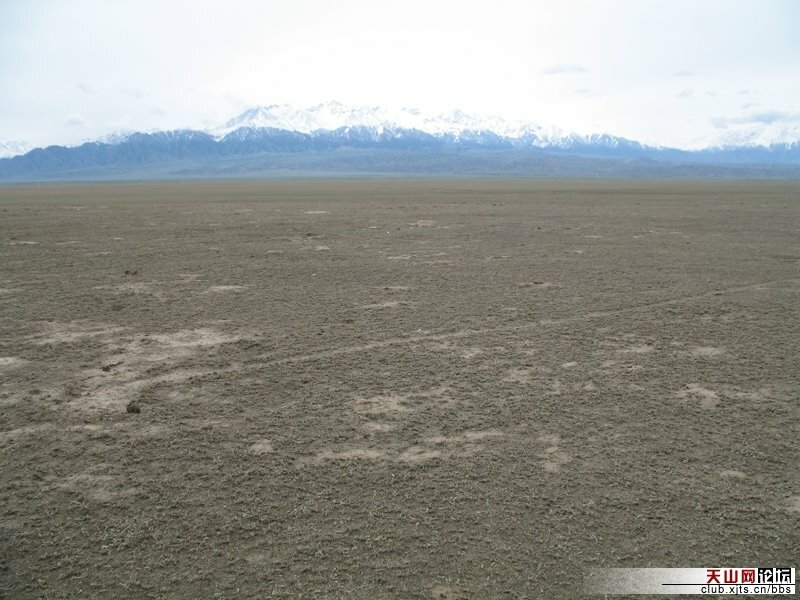 It’s hard for the average traveler to realize just how large Xinjiang is. 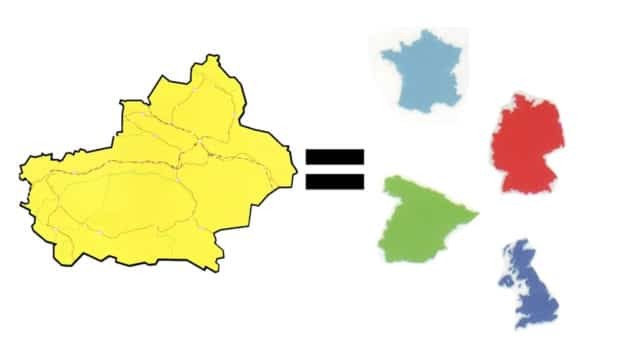 For those who are familiar with Europe, you can fit France, Germany, Spain and Great Britain inside of Xinjiang with room to spare. 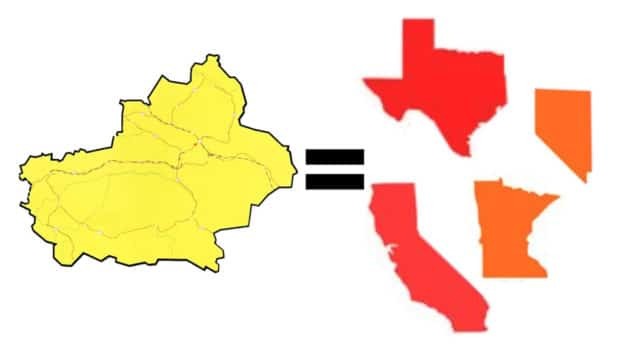 For those of you who know the United States, Xinjiang is larger than Texas, California, Nevada and Minnesota combined! Remember that next time you start creating a travel itinerary for Xinjiang and you think to yourself, “Hey, I could get from one side of Xinjiang to the other in a day. That would be easy, right?” Wrong. 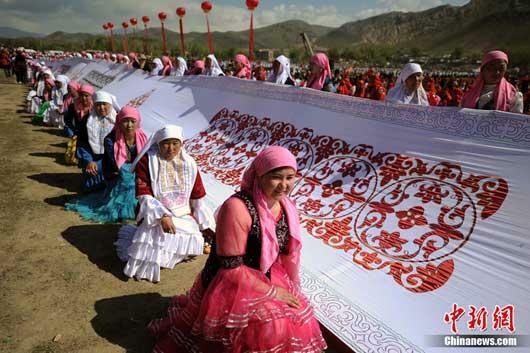 Xinjiang has this weird obsession with world records. It’s a bit embarrassing, to be honest. Anytime we have a big festival or gathering, the hosts want to make the news by creating some new world record that nobody really cares about. Consider the world’s largest wooden plate. Or the world’s largest tablecloth. 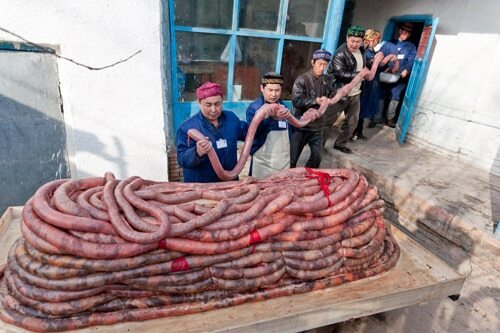 My favorite, of course, is the world’s largest horse sausage. That looks appetizing, doesn’t it? There are many others I could mention here including the world’s largest dance troupe, the world’s largest flat bread, etc…but I think you get the point. In total, Xinjiang currently has 22 airports, the most of any other region or province in China. Naturally, a lot of this has to do with the fact that we are also the largest region in China. Mind you, not all of these airports transport passengers on a daily or weekly basis, but they exist. It’s no wonder that China spends so much money securing the Xinjiang border! 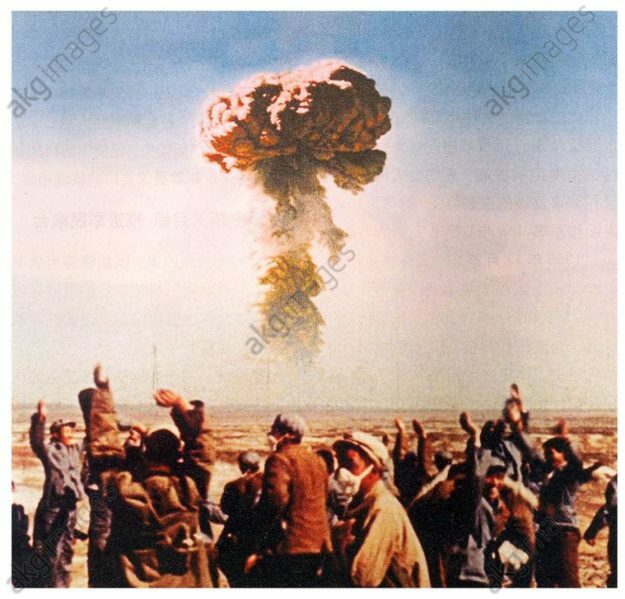 Established in October of 1959, Xinjiang’s Lop Nur region east of the big Taklamakan Desert was home to 45 nuclear tests until 1996. The Lop Nur Nuclear Testing base covers 100,000 square kilometers, which makes it the largest testing base in the world by a factor of almost 20! Thankfully the testing has been stopped, but China made news a few years ago when they announced that they were investing to make the base a theme park. I’ve been trying to find out more information but it seems that theme park idea never came to fruition. The official way to say this is that “Xinjiang residents eat more fruit per capita than any other region in China”. It’s no wonder when you consider that we also produce more fruit than any other part of China. From Yili apples to Hami melons, Korla pears to Turpan grapes – every corner of Xinjiang has its own special fruit. The climate here is just perfect for growing fruit! No other place in China boasts such extremes as Xinjiang. 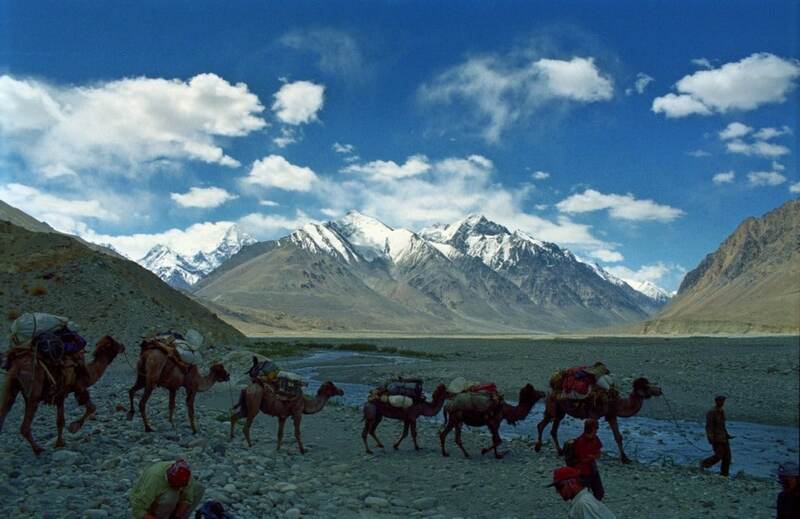 Not only is Xinjiang home to K2 (the mountain borders China and Pakistan), which is the 2nd highest mountain the world, Xinjiang also boasts the Turpan Depression, which is the 2nd lowest point in the world. As a side note, Turpan also happens to be one of the hottest places in the world, with temperatures reaching 50°C (120+° F)! When producers were looking to film the movie Kite Runner, based on the best-selling novel, they made the decision that filming in Afghanistan would be far too risky. So instead, they looked to the Xinjiang town of Kashgar to be a stand in for the old villages of Afghanistan. And it worked! Almost the entire movie was filmed in Kashgar and the director later said that the only thing they needed to change were the signs (which had Chinese Mandarin characters not native to Afghanistan). 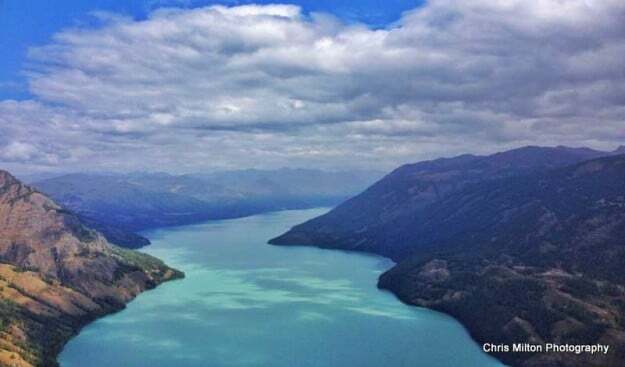 Most people have heard of the famous “Loch Ness Monster” but few know that Xinjiang has one of its own fable sea creatures. 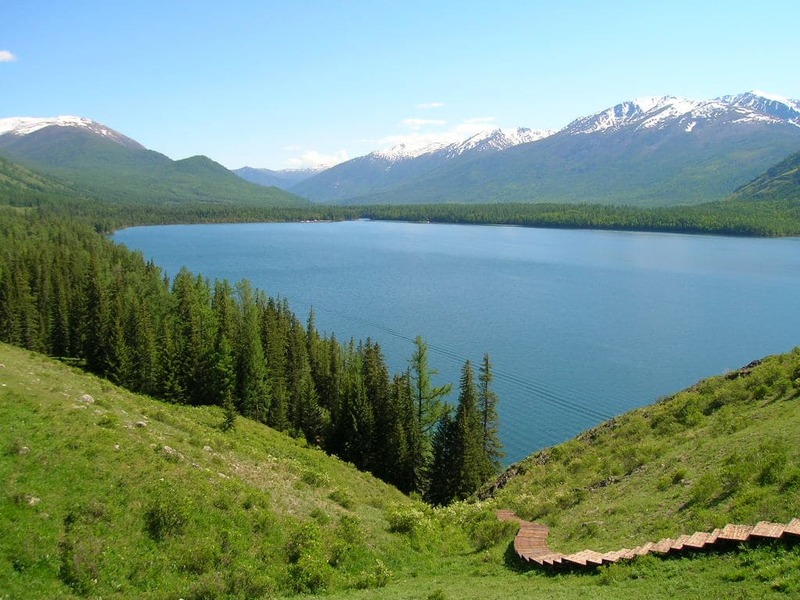 In the Kanas Lake, a beautiful park in the northern tip of Xinjiang near the Russian border, locals believe that a big creature resides. Every few years, grainy tourist video seems to confirm the fact that some sort of large animal swims in the Kanas Lake, but nobody has been able to determine what that animal is. While Chinese scientists have tried to determine the species of animal without much success, the majority of people agree that it is probably an oversized “taimen”, a species of fish native to Mongolia that can grow to amazing sizes. Thank you so much Josh! For your super Great job!!! You’re definitely first and the only one foreign person who are discovering and opening XUAR to the rest of the world in such a detailed and continious manner!!! Kop Kop Rahmet Dear Josh!! !